The first session of “The Hungry Muse” wrapped up Sunday afternoon. Here’s a few highlights from photographer Curt Richter. Stay tuned for more pics and audio coming soon. 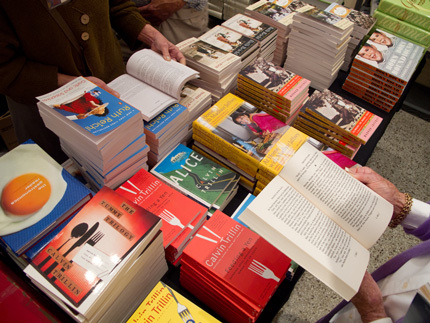 Session Two begins Thursday night, January 13, with a keynote address by Adam Gopnik. To register, call Miles at 305-293-9291. Voltaire Books again set up shop in the José Martí room of the San Carlos Institute. 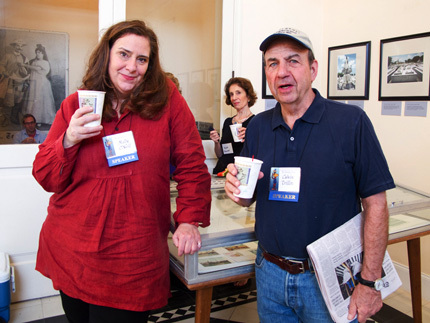 Molly O’Neill and Calvin Trillin upstairs at the San Carlos. Judith Miller, Jason Epstein, and Julia Reed on the ground’s of Key West’s Oldest House. 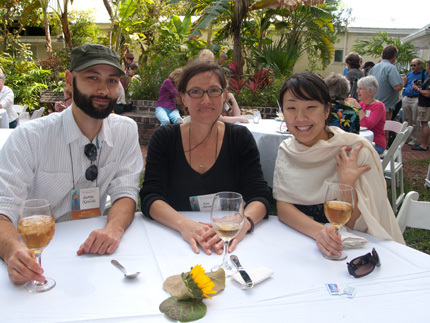 George Kamide, Kim Adrian, and Brynn Saito, winners of this year’s awards for emerging writers, at Sunday’s conch chowder luncheon. 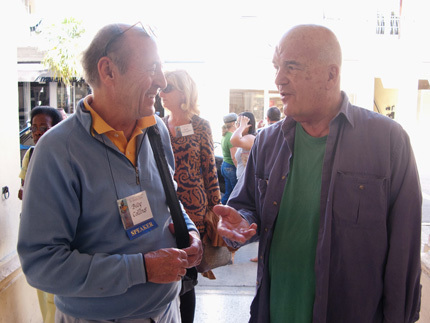 Billy Collins and Harry Mathews meet before their reading with Roy Blount Jr. 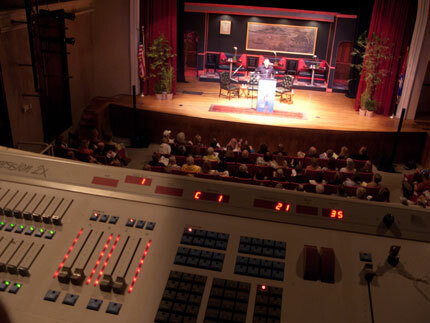 The view from Jolly Benson’s mission control light board. 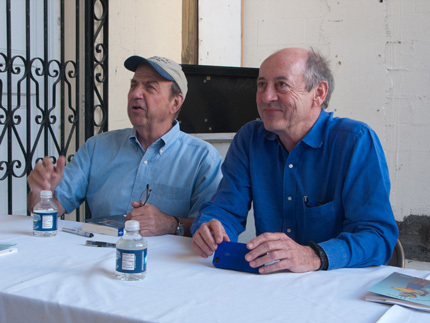 Calvin Trillin and Billy Collins signing books following Sunday’s free-and-open-to-the-public session.